Lovett Weems reports on research suggesting that it’s possible for the less engaged to become more engaged in your church, but not by asking them to mimic the activity patterns of those already deeply engaged. A major research project led by Nancy Ammerman, professor of sociology of religion at Boston University, offers what has been called the most in-depth “mapping of the religious/spiritual/secular sensibilities in the everyday lives of contemporary Americans yet to emerge.” Using qualitative research through interviews, observation, and diaries over a period of time, Ammerman examines a group of people representing the religious makeup of the U.S. Not only are the religions and denominations captured but also the various levels of spiritual commitment and religious engagement, or lack of commitment or belief. She gives us a window into the presence or absence of religion and spirituality in ordinary lives. We see what people deem spiritual and to what extent religious practice is part of their lives. Three distinct groups emerged based on levels of spiritual interest and engagement with organized religious life. While these categories are familiar to church observers, some of this study’s findings are revealing about each of them. The somewhat engaged (or Typical) attend worship once or twice a month and make up just over a third of participants. For this group, worship is their primary connection, with music and sermons being especially important. They are less likely to be involved in small groups for education and nurture. However, the Typical help keep churches going through their work on committees and boards. While this is necessary work, it does not appear to be spiritually fulfilling or nourishing. 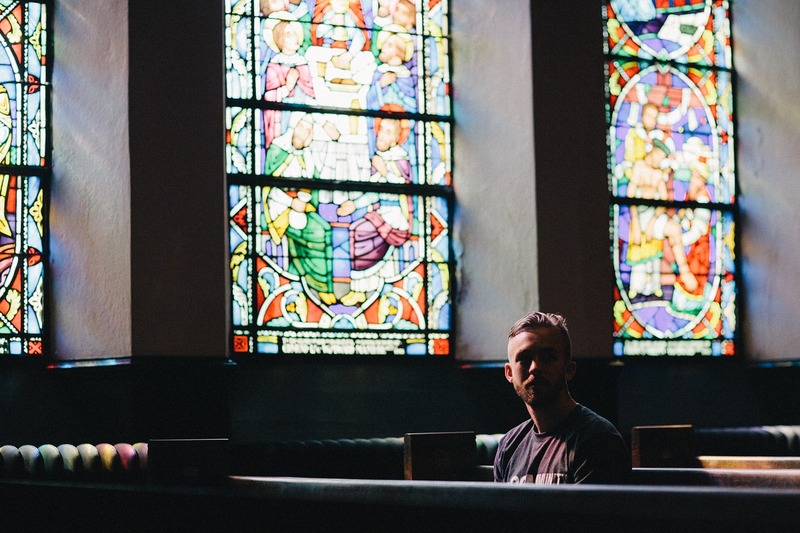 The not engaged (or Marginal) never or rarely attend worship and make up just over one-third of most congregations, though some stay connected. Their failure to participate tends not to be from unbelief, secularization, or turning to online church. For some, it was because of weekend work. For others, it was a move, a life transition, or health problems. Still others just found themselves no longer going to church. But the most common stories told by this group involve painful experiences and times when they feel the church failed to care for them. Their tone is not so much anger as disappointment. One of the fascinating aspects of this research is what causes movement among these three groups. If the Active are the most spiritually engaged, it would seem that all we need to do is to persuade the other people to be more like them. But it doesn’t work that way. Each group is in a different place and view church and the spiritual life differently. However, people who make plans for churches invariably come from the Active group. Church leaders — clergy and lay — tend to identify so much with the Active group’s perspective that they easily assume that what interests them will interest others. It does, for about a quarter of the congregation. But that is not necessarily what will interest the other three-quarters at this moment in their spiritual pilgrimages. When the Active think about their spiritual lives, they think about learning more, growing more, and serving more. But when the Typical think about spiritual things, they don’t tend to think, “I’d like to learn more,” or, “I’d like to join a small group with people I don’t know.” They are far more likely to see God in the everyday experiences of life. They may attend worship or help with the finance committee, but that is not where they experience God. When we look at congregants through the lens of the Active, we miss engaging the interests of the overwhelming majority of the congregation. How then does movement among the groups take place? Spiritual growth is directly related to participation, but the example of the Active may not be the only model. Perhaps it is unrealistic to expect the Typical and Marginal to do the same things that the Active do. They are not seeking that type of engagement. The things that attract the Active are answering questions that the others are not yet asking. Three things are suggested by the research that churches can do to make a difference. The first thing is to make sure we are meeting the spiritual and pastoral needs of the people. People become inactive when they lack spiritual fulfillment. Until churches address this absence of spiritual energy, the current movement from active to less active will continue. Beginning to address better the spiritual and pastoral needs of constituents is essential to stop this negative movement. In meeting spiritual needs, the first thing requiring attention is the quality of worship. Remember, for the Typical, worship is their primary engagement. Sure, they are on the trustees, but that doesn’t stir their hearts. When the Marginal were asked what would make increased participation more likely, one thing they said was more meaningful worship. The second thing they said was, to put it in church language, pastoral or congregational care. The Marginal want to know that they matter and that someone knows and cares what is happening in their lives. Churches must find ways to identify people who are falling between the participation cracks as well as we now identify those who do not contribute. The second thing we can do relates to friendships. People join churches for various reasons, but they stay involved because of relationships. When pastors and staff are asked why people participate in their churches, they name worship, the pastor, music, and their programs. But when congregants are asked, they tend to talk about connections with others. Among the Active, most have close friends in the church. Among the Marginal, only 15 percent have someone from the church they consider a close friend. How might we help people develop those relationships that serve as the glue holding things together? One way is to build a relational dimension into everything we do by using some time, in activities from study to mission, to help people get better connected. The goal is for everyone to have more personal interaction and learn more about others. The relationships we seek are not built by simply spending time together. Spending time together helps, but there has to be some way of connecting other than being in the same room while something is happening. The third lesson is the importance of conversations that link faith and life. It is these spiritual conversations that connect a person’s spiritual quest with the congregation’s mission. It’s in conversation that people develop a way of talking about life that includes the divine. You might say, “We have lots of groups where this takes place.” But remember, that’s not where the Typical and Marginal tend to be. Small groups and classes are preferences of the Active because of their spiritual motivation and their friends who are there. The challenge is finding ways for people to have these conversations in ways that are accessible to those beyond the Active. Remember that when the less engaged think about spiritual matters, they are likely to think first about things from ordinary life outside the congregation. Only the Active tend to think about spiritual things using church language and categories. Here is an example. Some churches ask people to share “God sightings,” places where they felt God was especially present in the past week. Here is what happens. People name things that, when I’ve heard them, I find myself thinking, “What does that have to do with God? With the church? With anything theological?” For the less active, the lines between sacred and secular are “not drawn at the churchyard gate” (298). So the question for churches is how to give people opportunities to have important conversations without having to join a group. One church seeking to reach more men discovered they could never use “group” to describe anything in which they wanted men not currently active to participate. They had success in engaging a range of men in a men’s breakfast, retreat, discussion, forum, panel, day, night — but never a group! They are finding ways for people to be in relationship and conversation. Ideally such conversations involve a mixture of Active and Typical, along with some Marginal or new people. Some of these gatherings can appeal to a specific cohort, such as men, while others may be around a common concern (local schools), or life situations (single parents), or needs (personal finances). Many things can bring people together but, once together, relationships are formed. There is a chance to talk with others about common concerns from a perspective of faith. People with “the most robust sense of sacred presence in everyday life,” says Ammerman, “are those who participate in religious activities that allow for conversation and relationship” (302). Just as being in worship makes it more likely that we will glorify God and grow as disciples, being in a place where conversations take place that link faith and life makes it more likely that shared conversations lead to shared lives, strong relationships, and shared friendships. When we think about all the constituents of our congregations, let’s be careful not to think of the quarter that are the Active as the gold standard and say to everyone else, in essence, “be like them.” Look at everyone as valued children of God. Look at everyone with a presumption of grace, assuming they are interested in spiritual matters, even if in different ways from the Active. It is possible for the less engaged to become more engaged, but it will not come by asking them to mimic the activity of the most engaged. They are not looking for that, at least at first. Chances are, if the movement takes place from the somewhat active to the most active, it will not be direct. There will be an interim they will go through that is very likely to involve stronger relationships and conversations that link faith and life. This research is reported in Sacred Stories, Spiritual Tribes: Finding Religion in Everyday Life by Nancy T. Ammerman (Oxford University Press, 2014).